Much like his previous work on the Paranoid Android and AOKP infographics, wamen_noodles has done up some pretty good ones for CyanogenMod. With the popularity of this ROM most likely to increase exponentially over the next little while as they shake the bugs out of their simple installer, here’s a good way to figure out just what kind of features await you if and when you do get around to trying it out. When I first tried out CyanogenMod, I wasn’t really sure as to what I was getting myself into. And so, after browsing around some of the XDA developers forums and poking around myself, I had skimmed just a little bit of the settings that were available for me. One of the wonderfully amazing things about these infographics is that wamen_noodles has made the gifs into a very simple format that is easily understood and helps explain what the potential for CyanogenMod is. One of the better features that I've found myself using more and more is the PIE mode. While I wasn't too sure what PIE mode did when I first enabled it, it has quickly become one of my favorites. 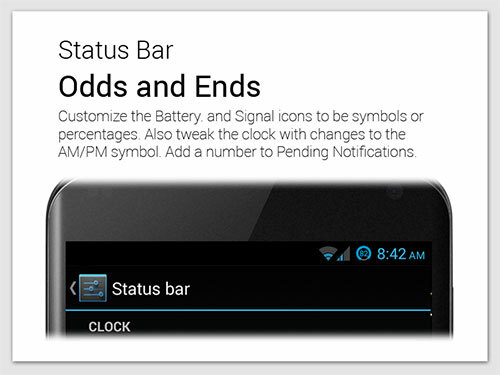 It can hide the status bar and menu bar at the top and bottom of your device, enabling more screen space. To get your menu bar back, you just swipe up from the bottom and voila! 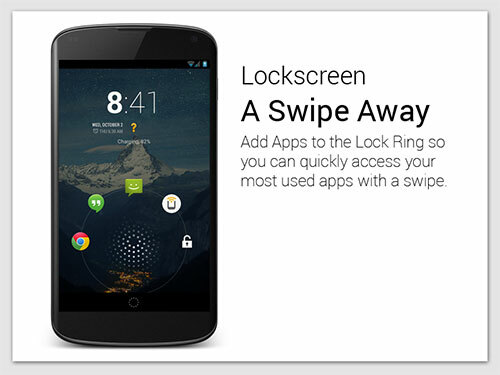 As well, the lockscreen can be customized even more by allowing the user to add apps to it. 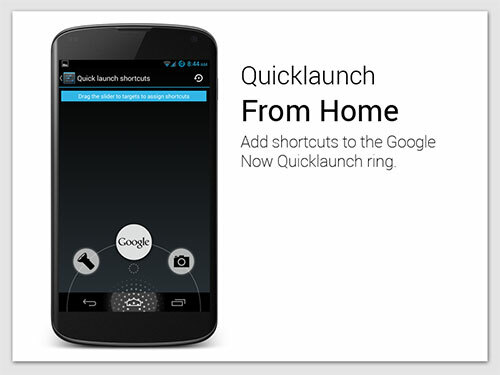 This gains you some quick access to your favorite and most used apps. You even have further control over many different options for the visual aspect of your device, including the battery icon, different icons on the notification bar, among a ton of other things. 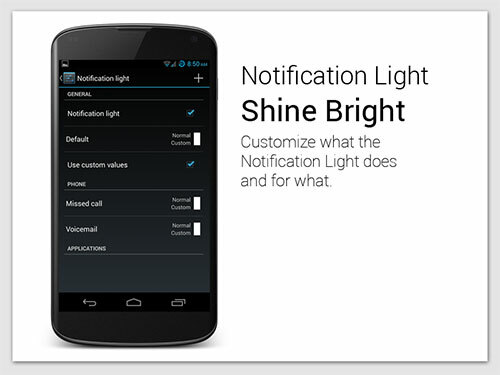 Another great feature that I wasn't too sure about when I got CyanogenMod was the Profiles. You can set up different types of profiles (different ring tones, brightness, and many other triggers) for when the device encounters different situations. For example, you could set your device to be on vibrate only when connected to your work WiFi and then automatically turn on the ringer once you get home and connect to your home network. 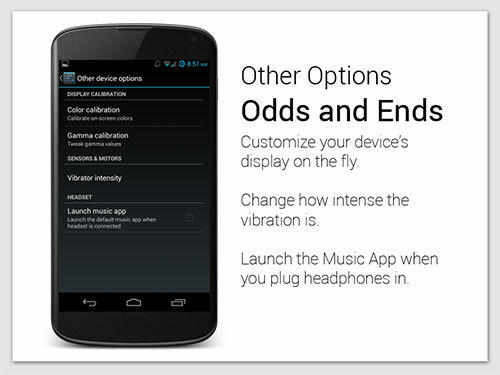 As well, there are a ton of other different settings that you can use to customize your device. You can change how big your "grid" on your homescreen is, you can change how your device reacts to external outputs, you change what options are provided when you hit your power button. The options are almost limitless. Finally, one of my most used features that I didn't really even discoveruntil recently was the Privacy Guard option. With this, you can determine specifally what kind of permissions each app has. If you've given an app a certain amount of freedom by default in the past and want to change it, you can easily modify the permissions using this function. 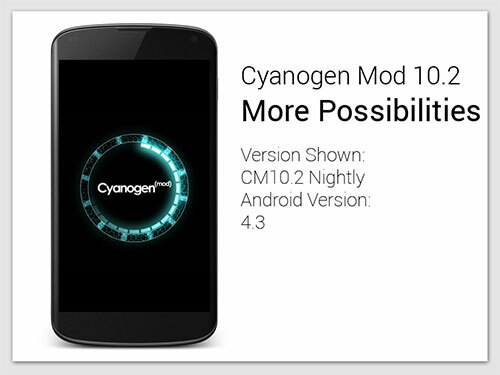 If you haven't already tried out CyanogenMod yourself, I suggest that you do so. Plus, if you're not feeling as adventurous or don't feel tech savvy enough to install a custom ROM yourself, check out CyanogenMod's latest installer that we reported on yesterday.